A play about teenage boys and masculinities. I saw this kid outside the school that morning. Kid from the prep school sitting next to his Dad on a fence. They looked so alike it’s kind of weird like seeing a father ape and his son in the zoo. The Dad was sad and he was staring into space. And the boy was watching his Dad. He seems to know what the sadness is. He kind of reaches up and tries to put his little arm around his Dad but the Dad turns and looks at his son and shakes his head and the kid’s arm just hangs in space and drops. The Dad doesn’t say a word. Michael Swordfish- a play about contemporary masculinities was commissioned by Newington College Sydney to commemorate the opening of their new theatre. It premiered in 2016 and was performed by students at the college and directed by Tamara Smith. It had return season at Australian Theatre for Young People in May 2017. Michael Swordfish is the product of collaboration with Drama students at Newington College Sydney. 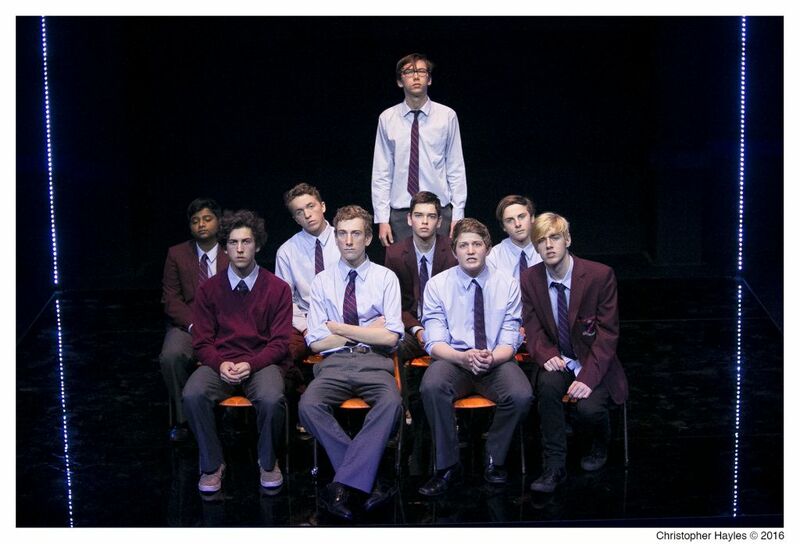 A play that examines the complexities of the contemporary teenage male. Published by Currency Press in 2017. Winner for Best Play- Community Theatre and theatre for Young Audiences, AWGIES 2017.